The unity of the Church is, not in how we do things but rather, in what we believe. 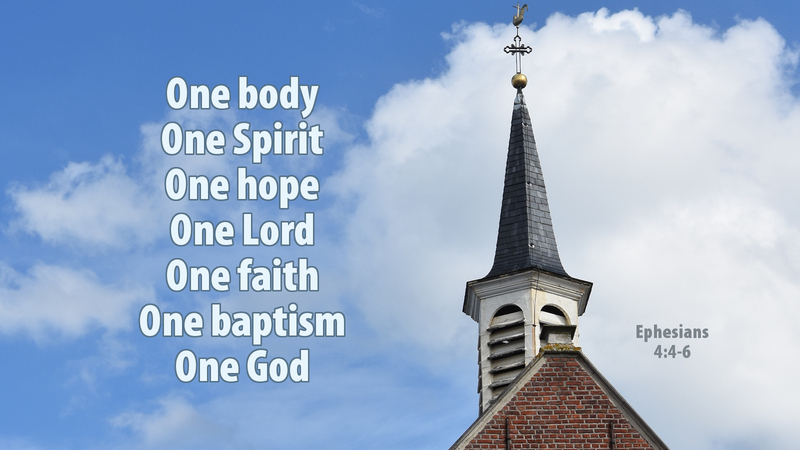 The “one body” who is the Church is united by the “one Spirit” of God in believing that there is “one Lord, one faith, one baptism, one God.” Do you believe in the “one God” expressed here as Spirit, Lord, and Father? Then you are united in belief with the whole Church. Do you confess that Jesus is the “Redeemer, the Lord of hosts”? Then you confess in unity with the Church catholic. Do you believe that there is “one baptism”—not an amount of water but a baptism into Christ himself (Gal 3:27) that unites us with him in his death and therefore his resurrection (Rom 6:3-4)? Then you are united in the confession of the whole Church. This is the “one faith” that we confess—not a unity of traditions and ceremonies that must be practiced by all Christians everywhere but instead, a unity of faith. Through faith in Christ we are called into unity with the whole Church who knows the “one hope” of our calling, a glorious inheritance in the family of God. Prayer: Help me, Holy Spirit, to walk in a manner that is worthy of my calling. Amen.